Tickets for shows at the Royal Opera House are very much sought after, so you might have missed out. There’s no need to be disappointed though, because you can still enjoy the show in a luxurious setting. 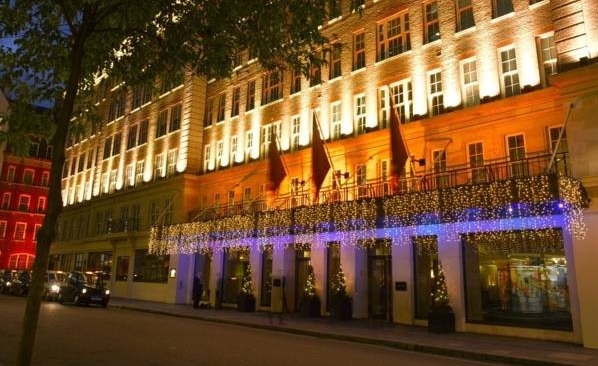 The May Fair Hotel in London is the perfect setting for a glamorous evening of ballet or opera, with live-screenings in the exclusive and intimate May Fair Theatre. Seating up to 201 people, with an eight metre screen, you can still enjoy the luxury of the fantastic shows of the Royal Opera House. The May Fair Theatre is the envy of many private London cinemas, boasting Italian-leather trimmed seats complete with armrests and fold out tables. For £49 per person, your ticket includes entrance to the screening, a programme, a glass of Prosecco and a delicious two course meal in the May Fair Kitchen, with tea or coffee afterwards. Giselle is considered the most romantic of all ballets. Peter Wright’s production of Marius Petipa’s classic is a tale of betrayal, the supernatural and love that transcends death. This production has become the must-see staging of the quintessential Romantic ballet. It is about a peasant girl named Giselle, who dies of a broken heart after discovering her lover is betrothed to another. The Wilis, a group of supernatural women who dance men to death, summon Giselle from her grave. They target her lover for death, but Giselle’s great love frees him from their grasp. This is the world premiere of Liam Scarlett’s new full-length ballet, inspired by Frankenstein, Mary Shelley’s Gothic tale of morality and our craving for love, companionship and understanding. The Royal Ballet’s artist in residence Liam Scarlett has become known for ballets that marry highly expressive movement, sophisticated musical response and dark psychological depth. It is the story of Victor Frankenstein, who is sent away to university. Just before he leaves, his mother dies in childbirth. Distraught, Victor throws himself into his studies, learning obsessively all that he can from his Professor. Fuelled by his experiments and in a desperate hope to find a way to bring his mother back, Victor works furiously, and eventually succeeds in giving life to non-living matter – but, horrified at what he has done, Victor abandons his creation.